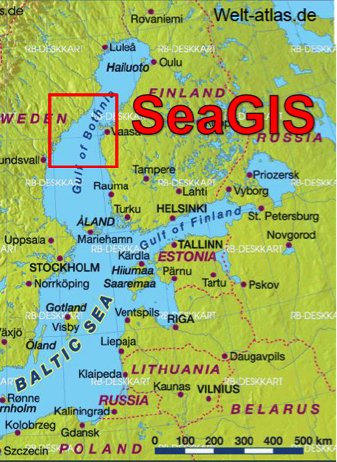 The main aim of SeaGIS is to improve the knowledge for and about MSP and make it more accessible in order to increase the possibilities of ecosystem based regional planning of marine areas and to create a common platform for knowledge storing, planning and future decision making in the northern Quark region. End-users are national and regional environmental and landsea planning authorities, regional councils and municipalities on both sides of the Kvarken strait. Public bodies and general public have access to internet based multilingual knowledge platform, in which most available data concerning the environment, infrastructure and economic will be presented. A follow-up project to the SeaGIS project, SeaGIS 2.0, is currently being implemented (2015-2018).